"BOSCH" DRILL AND DRIVER BIT SET The heart of the Clic ChangeTM system is true one-handed load and release of bits. Clic ChangeTM is up to 33% faster than competitive systems. Patent pending mechanism virtually eliminates looseness and wobble. 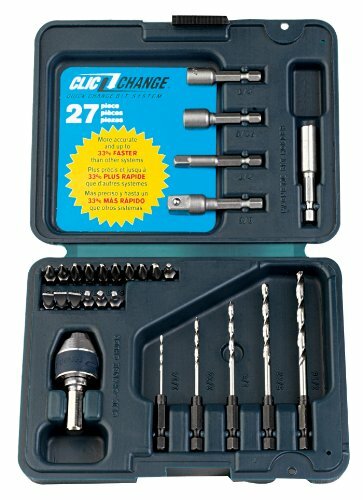 Advantages include: change bits without re-chucking, fits all 3/8" and 1/2" drills and accepts all 1/4" power hex shank accessories.